Plush Styles: Buying Your Dream Wedding Dress? Tips! Summer is always a great time to tie the knots and everyone will agree with me that the most important thing of any wedding is 'The wedding ring' and 'The wedding dress'. Today I will focus on the wedding dress. We know it’s the most important dress you’ll ever wear, and you want to make sure it’s absolutely perfect. 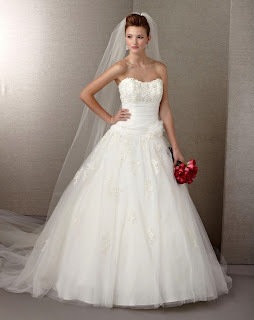 There are few tips you should consider to help you get the perfect wedding dress. 1.NEVER SHOP ONLINE! Getting the dress sized correctly is very important, and this is best done by actually trying it on. 2. It's important you go with different people for the sole reason of different opinions apart from your stylist/consultant. Please note that you do not take too much people. Not only will they get in the way, but none of them will all agree on anything, there will be too much conflict in opinion. It's probably best to take one or two person along with the consultant. 3.Try not to shop too early. Play it safe and order a size that fits your current body. Speaking of your body, it's important to pick a dress that compliments your body. 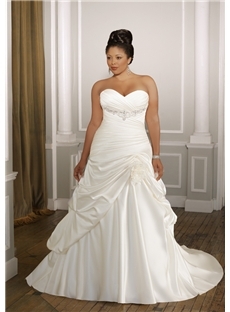 Just because a strapless wedding dress is shown in your size doesn't mean that it will automatically fit your body. 4. Fabric is no doubt and important factor which comes to mind while buying your wedding dress. If your wedding is going down in the summer, It's important to buy a dress which the material that is light and suitable for summer and also allows heat to escape. You don't want to be sweating and wetting your wedding dress during the occasion. 5. You should also take into consideration the rest of your wedding details that are in place before you can truly shop for a gown, since many factors can influence the style of the dress. For example the venue. If you have planned your wedding reception in a hotel, banquet hall or a garden, then wearing a full length wedding dress is considerable. However if you have arranged for something more creative, like a beach reception, party, cruise party or the likes then you can wear short wedding dresses which can be distinctly attractive and comfortable at the same time. 6. Don't let the sales people convince you into a dress you are not 100% sure of. Remember they are there to make profits. Wedding dresses are a once in a lifetime situation, it's different from buying a a high heel shoe. These are just a few tips from the lots i thought to point out. Every lady has in her mind what she wants to look like in her wedding dress which makes shopping for one a very personal thing. Some like it simple others like it glamorous. So whichever you want, it's important that you make your self happy and comfortable with it. Have fun shopping, it's an important time in your life, so don't be shy to try on a few and find that DREAM dress that will make you the cynosure of all eyes because you are BEAUTIFUL!